Witch hazel is most widely known for its natural cleansing and skin-toning properties, but you’ll be surprised to learn it’s great to have on hand for a variety of other everyday needs! We’ve rounded up 16 ways to use witch hazel (including a DIY hand sanitizer). 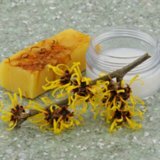 via Uses For Witch Hazel | POPSUGAR Smart Living. Magickally, witch hazel is good for drawing things out, like the truth or removing something bad or unpleasant that has fused itself into something or someone. It’s also very cleansing, and can be used to dry out or shrink problems. Try it out. astringent, hazel, herbs, natural astringent, plants, witch, witch hazel. Bookmark.